Hello I read your article where you wrote “The critical question, then, is whether excessive marijuana use can cause the endocannabinoid system to downregulate, leading to a loss of this protection, but, even though this is often claimed by organisations such as NIDA, their own data shows it not to be the case. Marijuana use does not suppress the endocannabinoid system, it enhances it, and this make it extremely useful in inflammatory conditions, such as those related to trauma and chronic stress. (23,24,25,26,27,28,29,30)” its very interesting but can you provide source? because reference you provide here dont clearly show what you claim, can you pls provide reference showing that marijuana by down-regulation of cannabinoids receptors dont cause suppresion the endocannabinoid system? “To test this hypothesis [that marijuana use can downregulate the endocannabinoid system], the National Institute on Drug Abuse recruited and tested CB1r density in the brains of 30 male subjects who had smoked on average 10 joints or blunts per day for an average of 12 years. With such extreme levels of use, far heavier than the vast majority of users, one would expect to find homeostatic adjustment to the perpetually high agonist concentrations this regimen would guarantee, and drastic downregulation, if there is any threat to cannabinoid function from any level of marijuana use. However, they found no downregulation at all in subcortical regions, and possible evidence of a 20% reversible homeostatic adjustment in receptor density in some cortical regions, with the range of cannabis users’ densities overlapping completely with the range of densities in healthy controls. “It is hard to imagine a clearer case of “lies, damned lies, and statistics” than that this is uncritically cited as if it provided a case for the dangers of marijuana. There is scarcely any difference between groups, the cannabis group was selected by an organisation with an explicit conflict of interest, the observed homeostatic adjustment was small as well as regionally specific, and it beggars belief that such a modest difference would be sufficient to outweigh the dramatic increase in ligand availability. What Hirvonen described as evidence of the reversibility may in fact have reflected a return of PTSD symptoms once these dependent users ceased to medicate with marijuana, because the observed increase in receptor density among this group after a period of abstinence is of the same magnitude as the increase in receptor density Neumeister observed in PTSD. (Neumeister, 2013) It is only because of pervasive and misguided assumptions rooted in a long history of racism and science-denial that any researcher considers these results to credibly suggest that marijuana use impairs ECS function. If even NIDA-selected “marijuana abusers” smoking 10 blunts per day for 12 years fall within the normal range of receptor availability, that should be considered robust confirmation that there is no risk of downregulation. That is, even the most extreme levels of use pose no risk to endocannabinoid function, though it remains possible that optimal enhancement of endocannabinoid function would take place at a lower level of use. Future research will need to investigate the specific implications of specific patterns of use in specific phenotypes, so as to inform health advice to potential users, and not misrepresent extreme levels of use so as to frighten moderate users. Hello first thank you for respond. Im aware of this study but one question here what about time when this cannabinoids receptor must recover(4weeks) in this time our system isnt less protected by this 20% downregulation?. There is no significant downregulation in this study (receptor density did not fall below normal range even from extreme levels of use, and in most brain regions there was no difference between controls and heavy users), and it’s not clear whether the upregulation in the following four weeks was “recovery,” or return to a disease state (ie, Neumeister). The study subjects had receptor density entirely within the normal range when measured — this indicates no loss of protection. Cannabinoid protection is a function of three variables… ligand availability, receptor density and receptor sensitivity. For a loss of protection, one or more of these factors would need to fall well below normal levels without a sufficient increase in the others to compensate. But marijuana use does not cause any of the above to drop below the normal range — quite the opposite, depending on how you measure. If ligand availability goes way up, a small decrease in receptor density isn’t going to be hazardous, and they’re probably more protected than had they not been using. Some studies have also shown persisting neuroprotection from THC for weeks after dosing. The case has not been made — and, I wager, cannot be made — that there is any period of reduced protection following any level of marijuana use in humans. One other point that’s worth remembering… to paraphrase Albert Batalla, comparing subjects exposed to a single environmental factor with subjects who were not so exposed leaves one likely to interpret any difference as evidence of harm, regardless of the direction of effect. This bias is endemic in this type of research… many research teams have been satisfied that they have proof of how marijuana is causing harm any time they’ve found any statistically significant difference between users and controls at all, even when there was nothing to indicate that the difference represented something harmful, and even when it was laughable that it would. An even worse example of this would be Jodi Gilman’s awful paper last year about morphometric changes in the amygdala… she cheated to make a non-effect appear significant in the first place, and then claimed it was proof of harm even though it was tiny and not correlated with anything bad (and did not show up in attempts at replication — but even if it was real, why should we automaticlly assume any change at all is harm?). P.S Im also interested about sleep and cannabis in particular rem sleep decrease(what we know rem is very important) First I was thinking its because locus coeruleus neurons which are important in many aspect which cannabis decrease in period of high but studies show opposite that after cannabis ingestion LC neurons increase firing rate. Cant wait info from you. Well, we need a lot more research in this area before we can be sure exactly what’s going on. One hypothesis is that marijuana use increases the duration of N3 sleep, which is the most restful (deepest) stage of sleep and which takes place before REM; that could crowd out REM. Another hypothesis is that the associative flights of fancy characteristic of the marijuana high involve the same pathways, and provide some of the same functions, as REM; this would suggest that when people get high it’s almost like they’re getting their dreams out of the way ahead of time, reducing the amount they need to dream later on, and/or tolerance to the drug effect might have a cross tolerance to dreams, due to shared pathways. One more time thank you for your answer. Currently I read some studies about sleep loss (mostly rem) and loss of locus coeruleus neurons(LC neurons I innactive in rem period) and marijuna cause increased activation durning high, and therefore here my question because its opposite to logic because if neurons are highly active durning high therefore rem sleep should increased due to increased activitiy of this neurons. Of course studies showing loss of LC neurons was performed only on mice where they have virtualy opposite sleep patterns and duration longer, also researchers use flawed strains(the most susceptible to disease and without proper immune function), So my question is in your opinion can cannabinoids cause stress to this neurons or opposite they relax them to point where rem sleep is reduced due to lower needed?. To be honest to you site I come by searching about issue due to read pure wroted article by incompetent person(Even I see that but I was curius about this endocannabinoids and loss of protection which you really professional describe this issue). Even I with basick knowledge in toxicology and neurology see how much flawed this study is. and waiting for more information from you about rem issue and of course look forwad to you next articles. As you say, the rodent studies are unconvincing, for many different reasons. Cannabinoid receptors don’t even localise on the same cell types in rodents as in humans, the dosages they’re giving (usually a pure agonist) bear no relation to self-titrated human use of a flower with a far greater chemical complexity than just a single pure agonist, and the effects in numerous rodent studies have been found to be mediated by quality of housing (drug exposure when socially isolated in a terrible cage does not have the same effects as drug exposure in enriched housing, or in anything remotely approaching ecological validity — Rat Park is the seminal paper on this concept but there are numerous more recent experiments which have also found these sorts of effects). For these and other reasons I don’t put any stock in those results. Another key point occurred to me… the suppression of REM from marijuana use is transient, such that unusually vivid dreams are a commonly reported rebound effect when people stop using suddenly. Even less than 12 hours of abstinence can produce some amount of rebound — that is, if somebody who usually smokes up before bed abstains prior to sleeping, they dream, and often very vividly, even if they had smoked up in the morning. It strikes me that stress to the LC or damage to LC neurons could not explain this phenomena — why would they be able to bounce back so quickly? Hello again thank you. But one thing I never pointed that smoking marijuana cause LC damage only sleep deprivation(like I say study was performed on mice which sleep 3h(normally mice sleep 14) and as pointed dont know why they use worst strain. ,(this occurs due to more metabolic demands and results in oxidative stress) Also marijuana dont supress all rem stage only reduce by little by increasing deep sleep like you wrote. http://www.ncbi.nlm.nih.gov/pubmed/164314 “Administration of THC significantly reduced eye movement activity during sleep with rapid eye movements (REM) and, to a lesser extent, the duration of REM itself.” in the other hand cannabinoids r powerfull antioxidants, So I only wonder if such little rem stage reduction can stress LC nonadrenic neurons. Of course LC neurons also have lower activity durning deep sleep and are no active in rem, that is why asking you its possible that cannabinoids decrease LC metabolic demands even after increasing this neurons activity which can result in little decrease in rem stage sleep? Im really grateful for time you spent trying answer to my questions. P.S on this weekend I will probably dont have access to internet to read your further answer so in this fact I want to thank you in advance. Yes, it’s possible. CB1r and CB2r activation, in general, reduces the activity of the neurons it affects, and CB1r is well expressed in the LC. If I understand correctly, the increase in LC activity after CB1r agonist is driven by CB1r reducing activity at GABAergic interneurons in the substantia nigra — these interneurons inhibit the neurons to which they project, in order to reduce signal and boost noise. They are also more sensitive to THC than are glutamatergic synapses, and so while THC reduces activity in general, because it reduces activity even moreso at these inhibitory synapses, that results in a temporary increase in activity downstream. But the boost to cannabinoid signalling and enhanced neuroprotection persists after the initial high, and affects both GABAergic and glutamatergic synapses. So instead of it being a matter of “all or nothing,” marijuana’s effect on activity is more like “some now, less later.” Is that helpful? They remained totally silent during both slow-wave sleep (SWS) and paradoxical (or rapid eye movement (REM)) sleep. Do you have maybe information in this field? “Is that helpful?” Like always. Thank you, apparently you really have knowledge in this field that is why I hope you forgive me next question, I also interested issue about tar and carbon monoxie many website describe as marijuana contain 4 times more tar and 5 times more carbon monoxide than ciggarettes is this true? Also in your opinion can water filter carbon monoxide? Is this lvl in carbon monoxie in marijuana pose risk?. also I read in past study which point that water bong actually filter thc increasing tar exposition wich for me is weird because thc isnt water solube but tar is isnt? The presence of tar, carbon monoxide and other toxic constituents in marijuana smoke is true, and is part of why we expected to find serious lung ailments in heavy long term smokers. But we don’t find those lung ailments… they don’t have elevated rates of emphysema or lung cancer, and while they’re a little more likely to test positive for bronchitis as measured by lung volume over rate of exhalation, this effect is driven by increased lung volume and does not amount to clinically significant lung damage. Why there is an apparent absence of damage despite the presence of tar and other hazardous compounds is a question worth considering, and the antioxidative and other medicinal effects of marijuana smoke are where we have to look for the answer. It appears that these effects are sufficient to compensate for the exposure to these toxins. The details of which components contribute the most to this protection remain to be established. Hello again thank you. Im sorry for so many question if its annoing to you pls let me know. But I see that you have knowledge in this field so I wanna use it to get answer to my question from not biased source. My nxt question is about BDNF I see one study showing decreased this crucial for brain other not, do you have some information here maybe also?. I looked for BDNF in my annotated bibliography and found several references. One is to a study which found a low dose of THC increased the levels of BDNF. A third discusses the relationship between neuroinflammation and BDNF, specifically that high levels of TNF and other inflammatory cytokines in the hippocampus reduce hippocampal BDNF. Bear in mind that cannabinoid activity constrains TNF and is anti-inflammatory through multiple convergent pathways. I haven’t studied BDNF specifically in any depth but it looks like chronic stress and inflammation lower BDNF levels. Since marijuana reduces inflammation and often protects against stress I would expect that its use would increase BDNF levels, though this is probably environment specific. In what context were levels found to be decreased in the study you’re referring to? If it’s a rodent study I wouldn’t put any stock in it, especially if “enriched environment” wasn’t used. 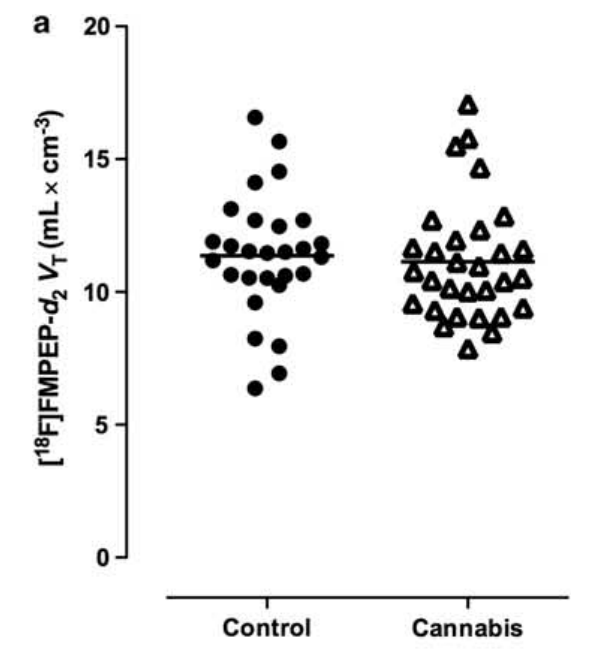 “Δ9-THC increased serum BDNF levels in healthy controls but not light users of cannabis. Further, light users of cannabis had lower basal BDNF levels. Δ9-THC produced psychotomimetic effects, perceptual alterations, and “high” and spatial memory impairments” There is possiblity like from your article that lower bdnf is due to protection from cannabis and therefore required lower bdnf lvl? The issue with bronchitis is that there’s a clinical definition, and an ontological definition. The ontological definition is of inflammation in the lung, but clinically it’s measured by FEV1/FVC, which is the percentage of the lung capacity which is exhaled within the first second. If that percentage is below 70%, the person is considered to have COPD, and specifically bronchitis, even if there’s no evidence of inflammation. Normally, this would be driven by low FEV1, but in heavy marijuana smokers, it’s driven by high FVC, which means that they “have symptoms consistent with chronic bronchitis,” without necessarily actually having lung inflammation. But that distinction often gets lost in reporting, and people will go ahead and say that marijuana causes bronchitis even though an increase in FVC does not correspond to impaired lung function, even if the percentage of total air exhaled in the first second falls below 70%. 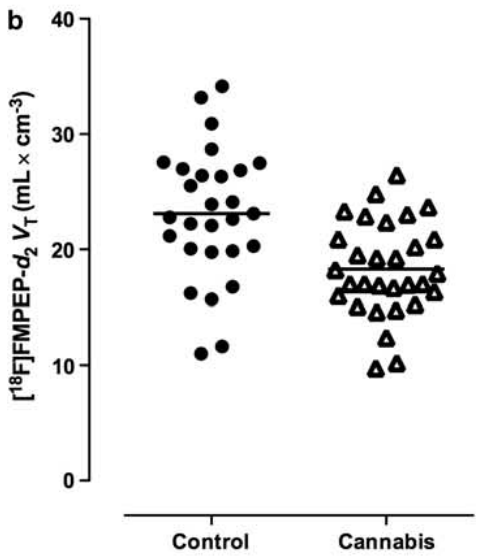 Low FEV1 is bad; high FVC is not bad. But when you measure bronchitis as FEV1/FVC, this sort of confusion is inevitable. There’s also a cultural element here, in that in traditional Indian thought, slow rate of exhalation is seen as superior, whereas we’re defining lung health as a fast rate of exhalation. So it depends what your priorities are and how you measure. I really appreciate time you spend to answer me. Rodent studies, such as the one showing cerebellar inflammation, are not descriptive of or applicable to humans for many reasons, some of which we’ve already discussed. The other two studies have extremely small sample sizes, and neither attempted to control for childhood trauma. The existence of specific impairments suggestive of endocannabinoid dysfunction does not necessarily imply that marijuana use caused endocannabinoid dysfunction; the alternative interpretation is that people who have dysfunctional endocannabinoid systems are more likely to be marijuana users, in order to ameliorate those effects. Further research into the effects of use on ECS efficiency are necessary. THC can cause ECS downregulation in lab rodents, but not all the effects observed in lab mice are observed in humans. Carefully controlling for underlying ECS impairment is therefore critical in human studies. It’s clear that the healthy controls differed from the current cannabis users in more ways than exposure to cannabis, reflected in, for example, much higher rates of alcohol and tobacco use — my point being not that alcohol or tobacco caused the effect, but that there are shared causes which can produce cognitive impairment, including cerebellar damage, and heavy early onset drug use. I will also admit my lack of familiarity with eyeblink conditioning and brainstem evoked response audiometry tests. What is your opinion? Do these results represent a genuine impairment (as opposed to a cognitive difference which is not necessarily impairing) which is convincingly a result of drug use, rather than a reason for drug use? Hello Michael. Hope you doing well. Sorry for not reply to you(health issues) As previous your knwoledge help in few cases I wanna ask your one more time about opinion. Im curious your opinion about influence of cannabis on according to authors “detrimental” striatal dopaminergic functioning. Hello Michael Vipperman. Can you please contact me? Have a request of a compassionate nature for you.